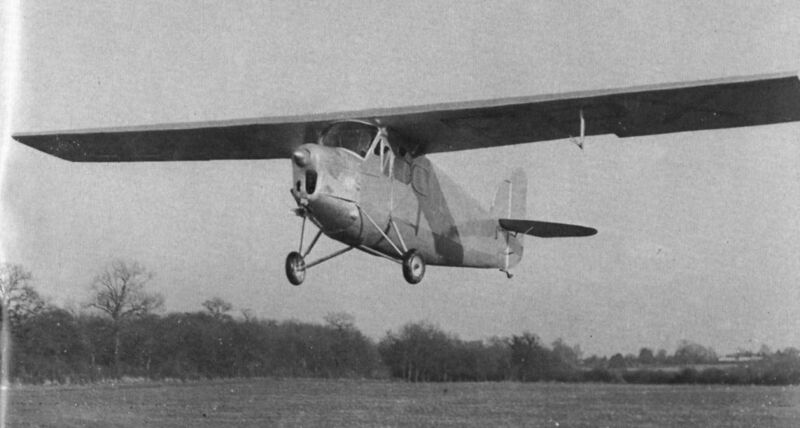 With Mr Taylor piloting, G-AEPX maltes its first and last take-off on January 7, 1937. Seconds later it was reduced to wreckage. Note the larger rudder and the repositioned pitot tube. 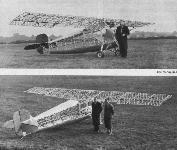 Еwo views of the Taylor T.E.2 Experimental, G-AEPX, at a late stage in its construction but with the original rudder. Mr Taylor is wearing the dark suit. 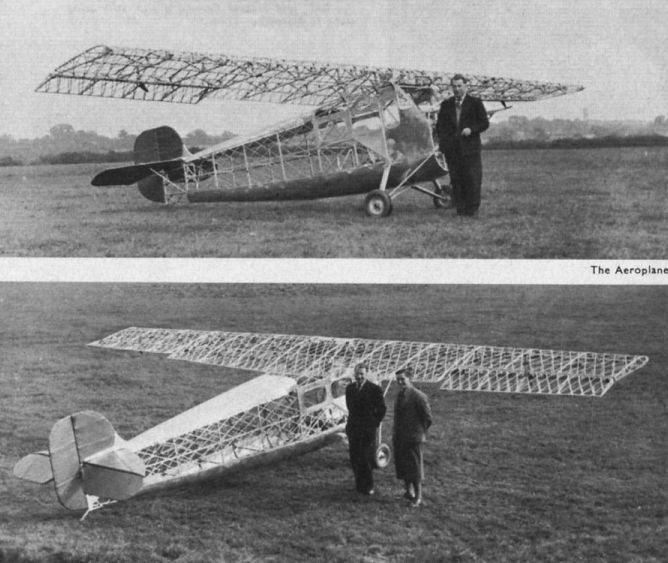 Three men hoist the engineless airframe off the ground. 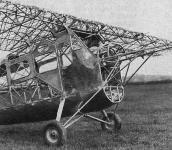 A close-up of the forward fuselage. Note the three "girders” which formed the basis of the wing structure.